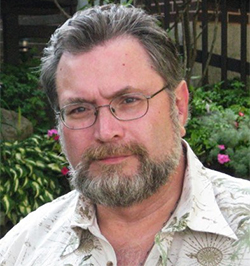 Jonathan Maberry is a New York Times bestselling suspense novelist, five-time Bram Stoker Award winner, and comic book writer. He writes the Joe Ledger thrillers, the Rot & Ruin series, the Nightsiders series, the Dead of Night series, as well as standalone novels in multiple genres. His YA space travel novel, Mars One, is in development for film, as are the Joe Ledger novels, and his V-Wars shared-world vampire apocalypse series. He is the editor of many anthologies including The X-Files, Scary Out There, Out of Tune, Aliens: Bug Hunt, and Nights of the Living Dead, co-edited with zombie genre creator George A. Romero. His comic book works include, among others, Captain America, the Bram Stoker Award-winning Bad Blood, Rot & Ruin, the New York Times bests-selling Marvel Zombies Return, and others. His Rot & Ruin novels were included in the Ten Best Horror Novels for Young Adults, was an American Library Association ‘Best Books For Young Adults’, an ALA Popular Paperbacks for Young Adults (Top Ten), Lone Star Reading List, winner of the Nutmeg Children's Book Award, and the Pennsylvania Young Reader's Choice Award Nominee. His first novel, Ghost Road Blues, won the Bram Stoker Award for Best First Novel and was named one of the 25 Best Horror Novels of the New Millennium. A board game version of V-Wars: A Game of Blood and Betrayal, was released in early 2016. He is the founder of the Writers Coffeehouse, and the co-founder of The Liars Club. Prior to becoming a full-time novelist, Jonathan spent twenty-five years as a magazine feature writer, martial arts instructor and playwright. He was a featured expert on the History Channel documentary, Zombies: A Living History and a regular expert on the TV series, True Monsters. He is one third of the very popular and mildly weird Three Guys With Beards pop-culture podcast. He was named one of today’s Top Ten Horror Writers and his books have been sold to more than two-dozen countries.